Slow Burn is.. odd, to say the least. Living up to its title, it pretty much goes nowhere, tagging along with James Spader and Josh Brolin as they stumble around in the desert, both hitting on treasure hunter Minnie Driver, who constantly outwits them. This kind of lower budget, steamy stuff just seems to have a licence to languish, in the sense that story is of little concern, it’s more about mood and episodic character interaction than anything else. Spader and Brolin are doing the ‘Of Mice & Men’ shtick here, playing two hapless escaped convicts, one a sharp tongued weasel (Spader) and the other a dimwitted lug (Brolin). They’re kind of lost, in both perpetual arguments and the vast Mojave around them, when they run into Driver, whose presence, and the idea that there’s a whole whack of diamonds buried out there somewhere, inevitably stirs things up. The diamonds belonged to her parents, and there’s hazy scenes relating back to a tragedy involving her gypsy father (Chris Mulkey, briefly) and a mysterious character played by Stuart Wilson who serves as pseudo-narrator as he wanders around out there too. Got that? It’s ok, they barely explain it better than I just did, I’ve seen the thing twice and I’m still not sure how it all adds up either. 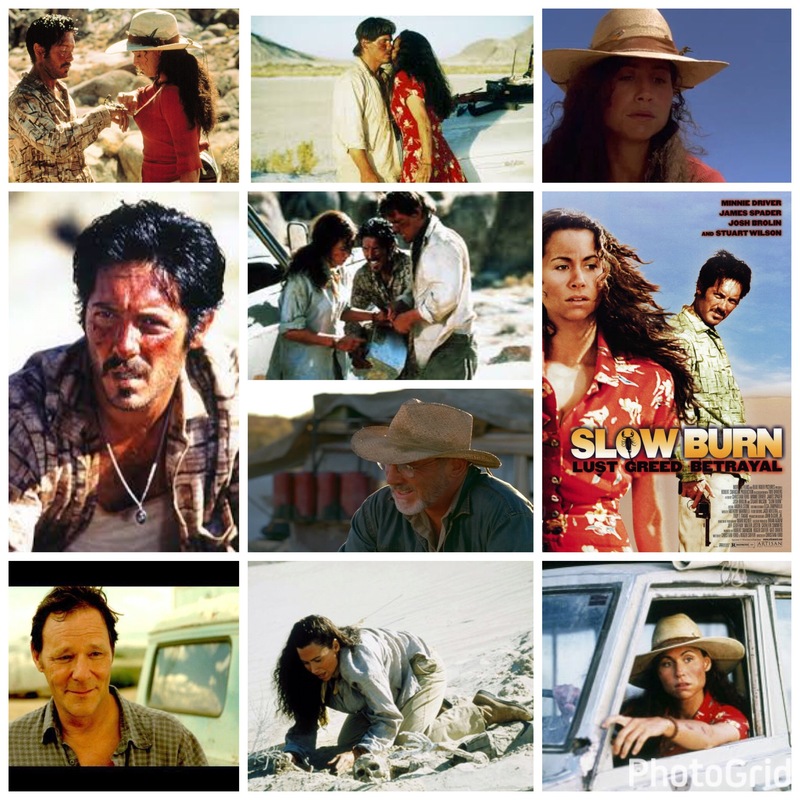 Sweat, sand, sensual looks snuck between Brolin and Driver, dreamy atmosphere, threats of violence from Spader’s overacted, crazy eyed moron, a treasure hunt and general lack of cohesion is all you’ll find out here in this desert. Good for an absent minded watch or for background noise, not much else though.